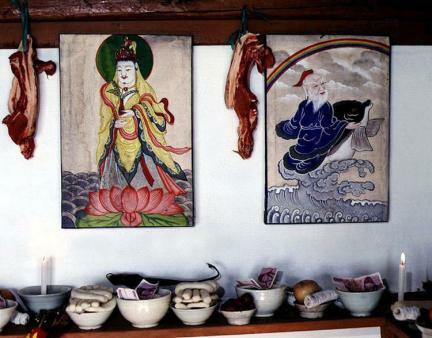 위도띠뱃놀이는 마을의 평안과 풍어를 기원하는 굿으로, 부안군 위도면 대리 마을에서 매년 1월초에 열린다. 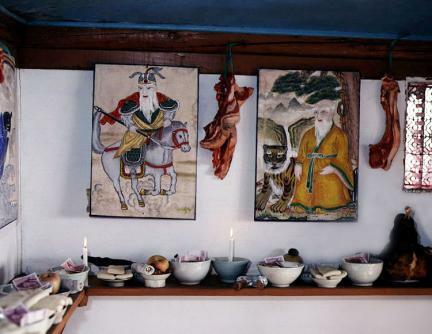 띠뱃놀이는 바닷가에서 용왕굿을 할 때 띠배를 띄워 보내기 때문에 띠뱃놀이라 부르게 되었고, 소원을 빌기 위해 세운 집인 원당에서 굿을 하기 때문에 원당제라고도 한다. 띠배는 띠풀과 짚, 싸리나무 등을 함께 엮어 길이 3m, 폭 2m 정도의 크기로 만드는데 안에는 각종 제물과 함께 7개의 허수아비, 돗대, 닻을 만들어 달아 배형태를 갖춘다. 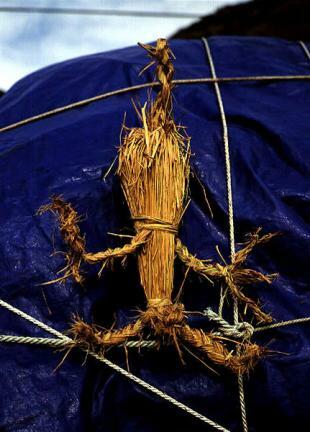 놀이는 수호신을 모신 원당에 올라가 제물을 차리고 굿을 한 후 마을로 내려와 마을의 산을 돌고 바닷가에서 용왕굿을 함으로써, 굿의 공간이 산과 마을, 바다로 이어진다. 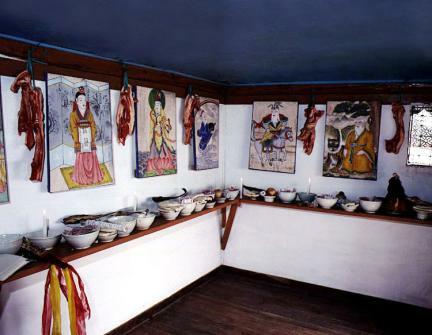 굿은 집안 대대로 내려온 무당이 하며, 성주굿, 산신굿, 손님굿, 지신굿, 서낭굿 1(원당·본당서낭), 서낭굿 2(애기씨서낭), 서낭굿 3(장군서낭), 깃굿, 문지기굿으로 진행된다. 뱃노래와 술, 춤이 함께 하는 마을의 향토축제로 고기를 많이 잡고 안전을 기원하는 어민들의 신앙심이 담겨져 있다. 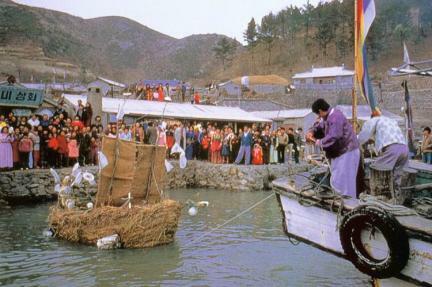 Wido Ttibaennori is held in early January every year in Daeri Village, Wido-myeon, Buan-gun, Jeollabuk-do to pray for the peace of the village and for a bountiful catch. 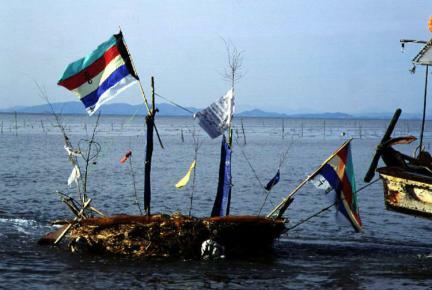 The name Ttibaennori stems from the practice of letting a boat made of tti (Imperata cylindrica) sail out to sea as part of the ritual. 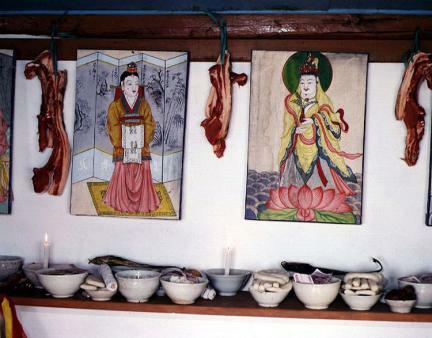 The event is also called Wondangje, as it is performed at Wondang, a shrine set up for the ritual. 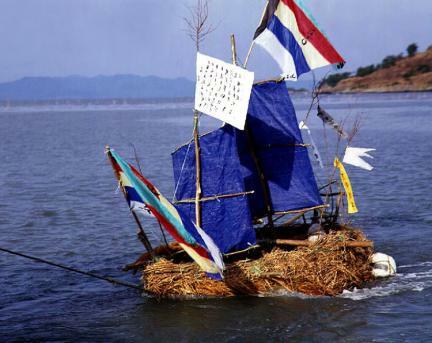 The boat is made of tti, straw, and bush clover spliced together. It is usually sized 3m (L) by 2m (W). 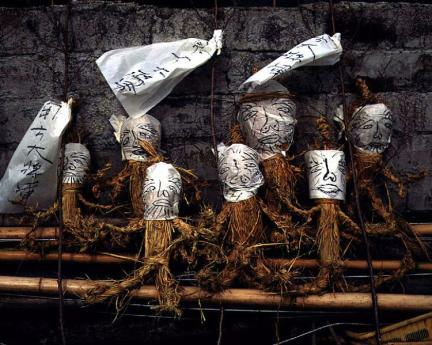 People put sacrificial offerings and seven puppets into the boat. 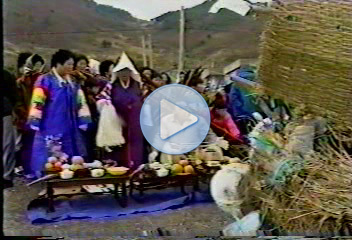 The event is a local festival in which people sing, dance, and drink together, praying for a bountiful catch and for the safety of fishermen.